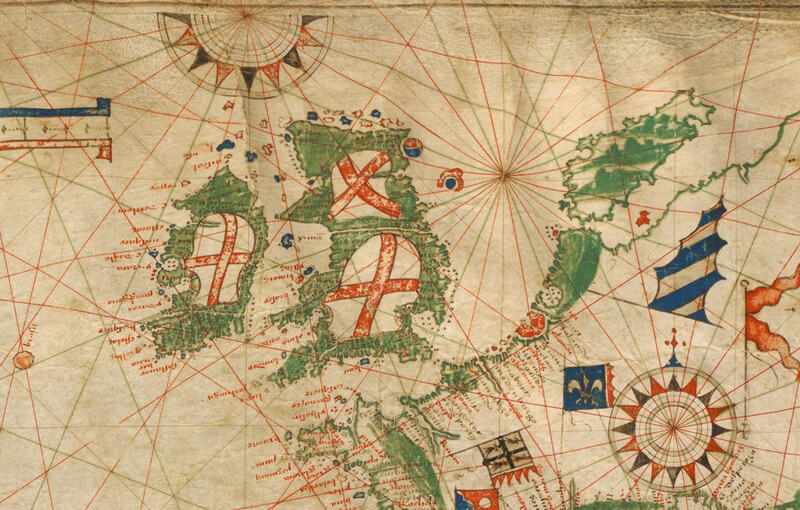 The section of the map below is from a nautical chart by the Portuguese cartographer Pedro Reinel (c.1462 – c.1542). On it, Scotland is shown with a red St. Andrew's Cross on a white background. Upon checking various sites (including Wiki, National flag of Scotland and Two Flags of Scotland I found no reference to this ever having been used. Pedro de Ayala, writing in the 1490s, claims it was first adopted by a previous Duke of Burgundy to honour his Scottish soldiers....However, earlier chronicle accounts and archaeological finds of heraldic badges from Paris indicate... its origins are more likely to relate to the fact that St. Andrew was the patron saint of the dukes of Burgundy. I have found references to a white cross on various backgrounds (red, sky blue, sage green) but nothing (other than Reinel's map and the apparently mistaken reference to Scottish soldiers above) relating to a red cross on a white background. I'm wondering if this red on white representation is based on any evidence of actual use in Scotland, or if it is an error made by Pedro Reinel. Did he perhaps get it mixed up with the flag of St. George? 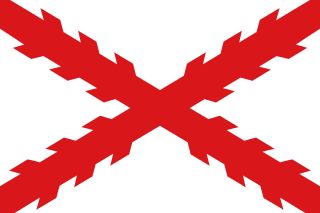 This article lists a white cross on red field as one of the oldest flags of Europe. The original version was the Danish flag, but there was a Scottish version with a "Saltire" or "X"-shaped cross. I could not find any use of a red cross on a white field. Such a flag was used at the Battle of Flodden against England in 1513 by the soldiers of King James IV. Its merit was that wearing such flags (instead of the traditional white on blue) made Scottish soldiers easier to identify in battle. But the same king had begun hostilities against England (on and off) as early as 1496, so it is quite plausible that Pedro Reinel was referring to this flag in 1504. The Scottish flag on Beimel's map is distinguished from the English by the use of the saltire shape, and its red shape appears to be "shorthand," because all the crosses on the map are rendered in red.The white in the background appears to be a map color, as opposed to a flag color. Not the answer you're looking for? 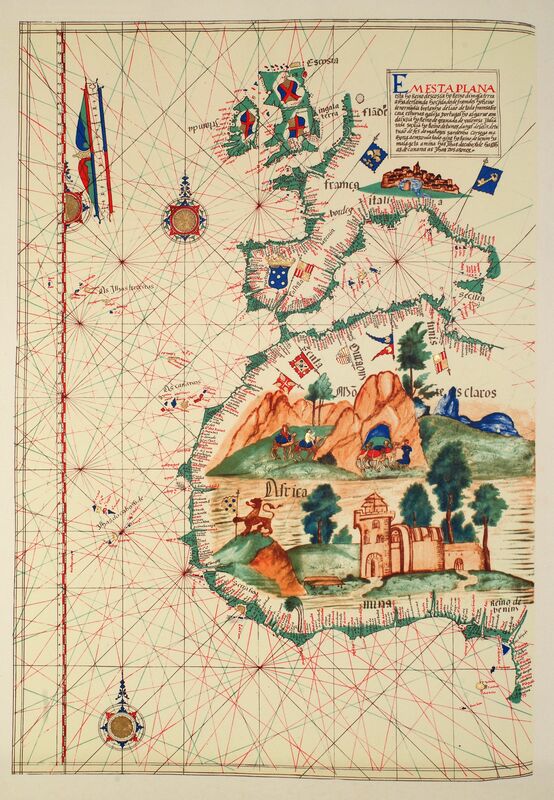 Browse other questions tagged middle-ages maps early-modern flags scotland or ask your own question. If the Union Jack joins the flag of England and Scotland, why does it have a different shade of blue than the Scottish flag?